The story of Inayat Khan’s life is stranger and more surprising than any fiction of a holy man bringing a mystical tradition from the East. Inayat Khan grew up in a Muslim family, yet he also was much influenced by Hinduism. All of the men in his family were traditional Indian musicians. By his twentieth birthday Inayat was playing the veena, an Indian stringed instrument, for the court gatherings of rajahs and maharajahs throughout India. Later, for four years, he was the disciple of a Sufi master who, on his deathbed, sent Inayat to the United States to bring Sufism to the West. With his cousin and brothers, Inayat played traditional Indian music to accompany the performances of famous “Oriental dancers,” like Mata Hari and Ruth St. Denis, in both the United States and in Europe, all the while teaching of the Sufi path and gaining disciples. Inayat Khan devoted the last third of his life to traveling throughout Europe and the United States, lecturing, de­livering radio addresses, and teaching those who sought him out. In his sixteen years in the West, Inayat Khan, called Hazrat by his students, brought the teachings and practices of Sufism into the lives of thousands of westerners. He inspired and directed the organization of an international Sufi movement and the inception of Sufi communities in many cities in western Europe and the United States, some of which have endured to this day. 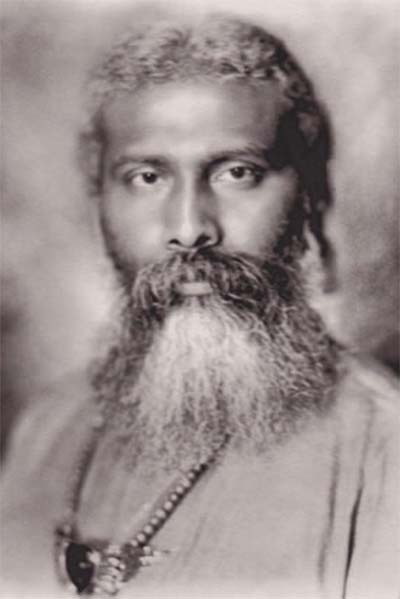 His teachings, gathered in the volumes of The Sufi Message of Hazrat Inayat Khan, offer a rich and complex, mystically based vision of human nature and human becoming. Inayat Khan was born in Baroda, India, in 1882. His family was Muslim in its origins. His grandfather, the central figure in the extended household of three generations, was Maula Bakhsh, a musician of wide repute who was known as the “Beethoven of India.” Inayat’s grandfather and father both held tolerant views about religious differences and were influenced by Hinduism as well as Islam. All of the grandchildren in the house attended Hindu schools and interacted with Hindu children as equals. As a child Inayat learned to play the veena. In his middle teens he began to teach at the Academy of Music in Baroda, soon becoming a professor. He sought to educate people about the mu­sical culture of India, to help them see traditional Indian music not just as Hindu or Muslim music but as a rich synthesis of both cul­tures. In his late teens Inayat traveled across India playing sacred music in the courts of regional rulers. He also gave talks about music and culture. Although he was favorably received by rajahs and maharajahs and offered rich rewards, Inayat Khan felt his ef­forts to be largely a failure because most people in the ruling classes experienced his music not as the religious inspiration he in­tended but only as entertainment. He felt despair because he saw this limited appreciation as a degradation of Indian culture. In the next few years Inayat continued to travel throughout India, giving concerts and talks. On one tour he went on to Ceylon (Sri Lanka), Burma (Myanmar), and what was then called Cochin China: Laos, Cambodia, and Vietnam. Finally in 1910 he felt ready to heed his late mas­ter’s instruction, and he sailed to New York City with his brother, Maheboob, and his cousin, Mohammed Ali. A year later his youngest brother, Musharaff, joined them. For two years they al­ternated between living in New York for months at a time and journeying across the North American continent on performance tours for equally long periods. Sometimes they played a concert of Indian music accompanied by a talk about Sufism by Inayat. More often they accompanied “Oriental dancers” like Ruth St. Denis who could attract the audience that they alone could not draw. Yet even in those often unruly crowds, some individuals could sense a holy power in Inayat and would seek him out later as a teacher. In 1911 Inayat initiated his first American disciple into the path of the Sufis. Inayat Khan and his family traveled to London in 1912 and then on to Paris, playing music for the dance performances of the infamous Mata Hari but also giving talks and attracting students. In this year Inayat married Ora Ray Baker, a young American woman who had followed him to Europe, and in 1914, their first child was born. They would eventually have two girls and two boys. Yet even as he became the head of a family, Inayat contin­ued to travel and teach in many European countries, including Germany and Russia. In these years Inayat struggled with adapting the traditional Sufi teachings into a form that Westerners could understand and experience. “He was not propagating a new religion, he assured them—but an ancient Wisdom which threw a light on every reli­gion of the world. This embraced the eternal truths common to all great teachings whether Hindu, Buddhist, Zoroastrian, Jewish, Christian, Muslim, or some other.” He sought to help people see how all of the world’s religions shared a common center. This commonality focused on the knowledge that there is only one God in the universe of which all the gods are partial manifestations, and that there is only one human religion and one fundamental re­ligious law: do unto others as you would have them do unto you. As he taught, Inayat asked people not to abandon their previous religious identity but to expand its meaning, so they could see its oneness with all other religions. His aim in his teaching, he ex­plained, was “. . . to spread the wisdom of the Sufis which hitherto was a hidden treasure . . . ” and make the experience of God-real­ization available to everyone. For several years, Inayat resisted both giving a name to his teachings and starting an organization to promote them. Yet grad­ually he recognized the need for both. He called his way the Sufi path, a term derived from safa, meaning purified of ignorance and egotism. He explained that Sufism was not in essence an element of Islam but, rather, a much older mystical tradition that predated Judaism and Hinduism and that had found expression in every major world religion. In 1915 Inayat reluctantly founded the first Sufi organization, the Sufi Movement. Later he organized the Sufi Order, an inner school of mysticism for initiates. Inayat Khan and his family spent the years of World War I in England. Inayat had written his first book—in English—in 1913, and he devoted a good part of his energy to other writing projects. His musical performances, which had become more and more in­frequent, ended altogether by 1915, and the remainder of his time was devoted to teaching initiates. Once the war had ended, Inayat began the last phase of his life during which he devoted most of each year to traveling throughout the nations of Europe, lecturing and establishing Sufi centers. He moved to France in 1920 and then on to Geneva, Switzerland, three years later, where he established the headquar­ters of the Sufi Movement. He journeyed repeatedly through Belgium, Holland, Italy, and the Scandinavian countries, always giving talks and teaching initiates. In 1923 and again in 1925 he toured the United States. In 1926 Inayat Khan returned to India for the first time in six­teen years. He visited many shrines and holy places. Although he was only forty-four years old as the new year began, his picture shows the aged face of a man who seems at least two decades older. Inayat’s exhaustive pace had worn down his body and sickened him several times during the previous six years. Each time he had aged noticeably, yet he had recovered. In February 1927 while still in India, Inayat Khan became ill again, this time with pneumonia. Within a few days, he was dead.